Collects Star-Lord & Kitty Pryde #1-3, Generation Next #1, Guardians of the Galaxy & X-Men: The Black Vortex Omega #1. 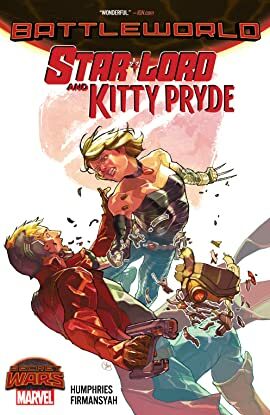 Star-Lord and Kitty Pryde — finally in their own series together! Well, sort of — not "together" together. 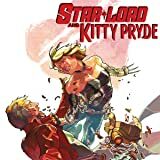 Because this isn't the Kitty that Peter Quill fell in love with — this is the fierce, battle-hardened and embittered Kitty Pryde from the Age of Apocalypse! Now, the very confused Quill and the really annoyed Pryde must band together and fight to survive the horrors of Battleworld — but can they wage a secret war while dealing with one another? And could there be a spark growing between these two, as well? The Marvel Universe may be dead, but #StarKat lives forever! Tune in for the most uplifting, confusing and ship-friendly romance/action/comedy/adventure/sci-fi story of the entire SECRET WARS saga! Plus: AoA Kitty's first appearance! And Star-Lord pops the question!